Image to Flash Converter 3000 lets you easily free convert any type of images to Flash video (e.g. flv, swf) in batches. It supports various formats like jpg,jpeg,tif,gif,bmp,wmf,emf etc. It can preserve original layout, text etc of your image file. More, the processing speed is very fast. User-friendly interface is very easy to use with merely a few clicks. Now, with the powerful converter,your images can be shown on the Web and can be embedded in a web page and shown inside it altogether with other web page content. Distribute your images on the Internet for other people to see is easier with it. 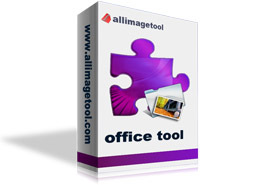 Simultaneously convert massive different image format files to one certain format once. Convert jpg,jpeg,tif,gif,bmp,wmf,emf to Flash Video with preserving the original text,layout etc. Merge multiple images to one single FLV/SWF video. According to the default page size to generate FLV/SWF video. According to the image size of FLV/SWF, automatically stretch/shrink image size. Set FlV/SWF video play speed.